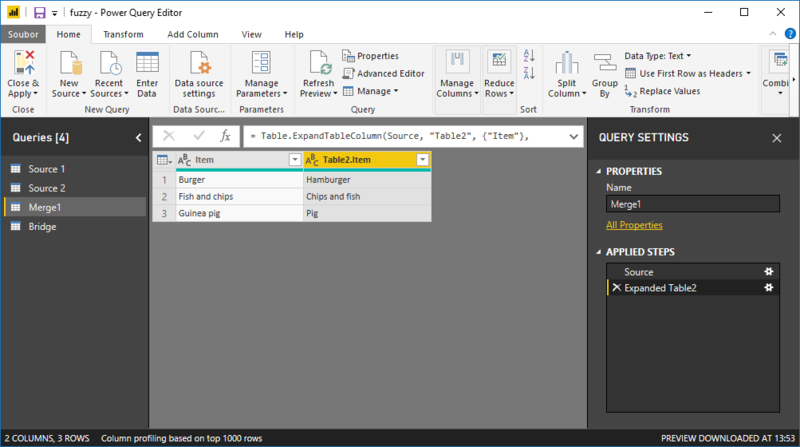 This article describes, how to merge queries in Power Query in Power BI, when the keys in both tables are similar, but not exactly the same. There is no need to explain, why this can be risky - on the other side it can be useful in some situations. 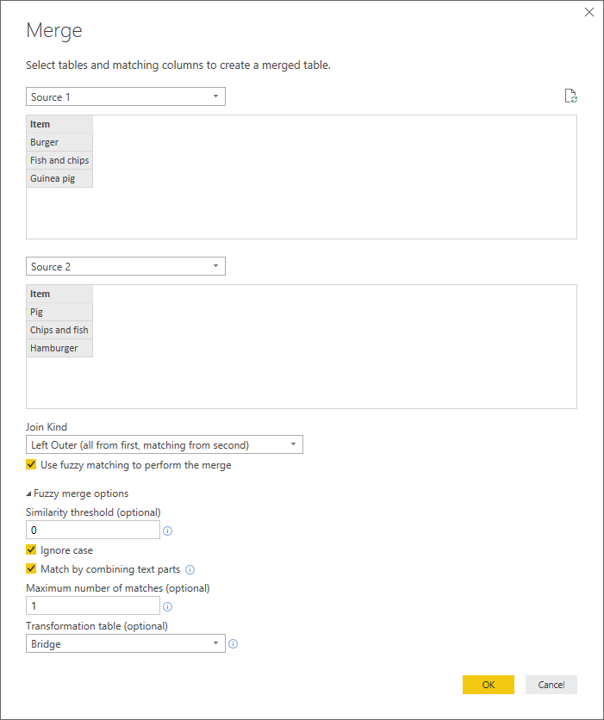 In merging window click on Fuzzy matching and expand the window. Now even the queries with similar values are connected. Number from 0 to 1. If close to 1, then only very similar matches are accepted. If close to 0, more items are connected.